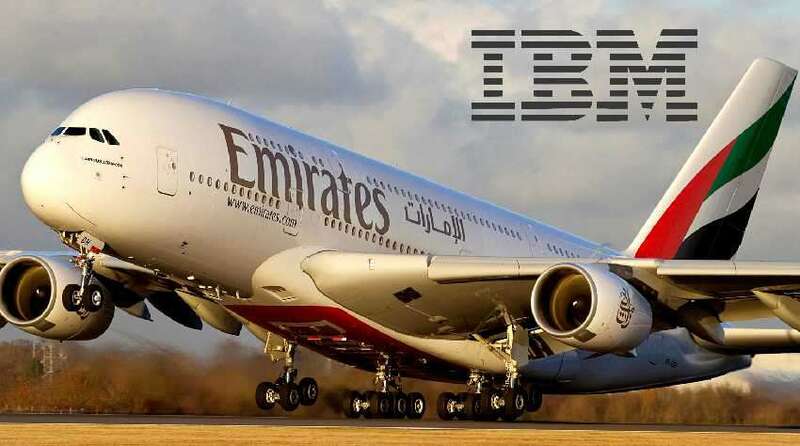 IBM (NYSE: IBM) announced that it has signed a 10 years of technology services agreement worth approximately US$300 million with Emirates Airline. IBM will provide the IT Infrastructure which will be delivered as a service, allowing the airline to improve efficiency on its passenger support systems and functions. The agreement provides fully managed services for the IBM mainframe and storage that will help Emirates encrypt data in near real-time. Additionally, the platform allows the airline to build new apps that will support the API Economy – a commercial exchange of business functions, capabilities, or competencies as services packaged in APIs. By moving its IT Infrastructure delivery into a managed services model, the airline will benefit from improved business application performance, resilience, scalability, an agile service delivery model, and significant operational savings. Emirates has run its ticketing and reservations system on the IBM mainframe for more than 30 years. IBM’s z Systems is the foundation for all of the airline’s mission critical data and transactions. Emirates Airline has selected IBM technology to provide its travellers with the benefit of reliable, secure ticketing and gate information when and where they need it, anywhere in the world. z Systems technology has enabled Emirates Airline to process ultra-high volumes of real-time business transactions including flight reservations, inventory, check-in, ticketing, and flight information.